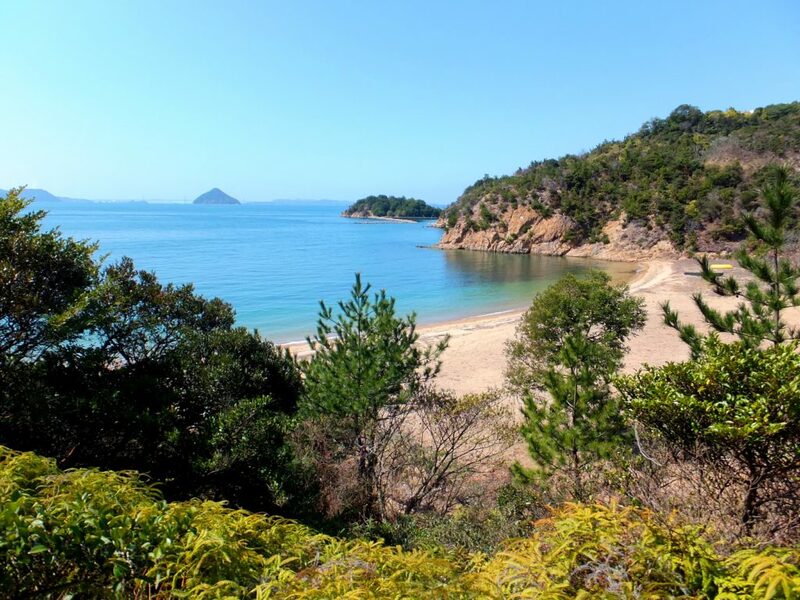 It all started with a TED idea, or, to be precise, with its title – “The art of stillness in the Japanese wilderness” – it was the first time I have learned about Naoshima. 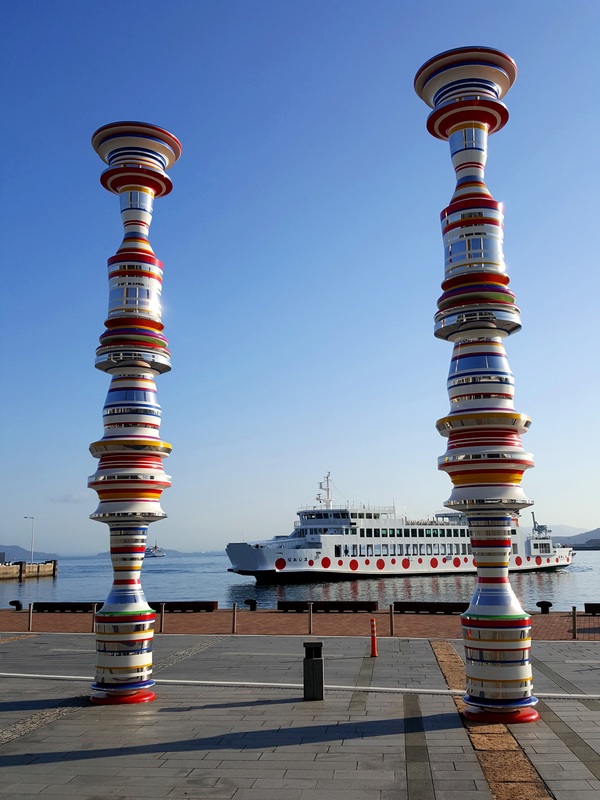 The art island somewhere in Japan, which is not that well known among Japanese, but has enough magic to make people come from far away (e.g. New York City), change a few planes, take a train, a ferry and a couple of buses, all that just for a few hours to be spent in a different world. It must be something special, I thought at the time. 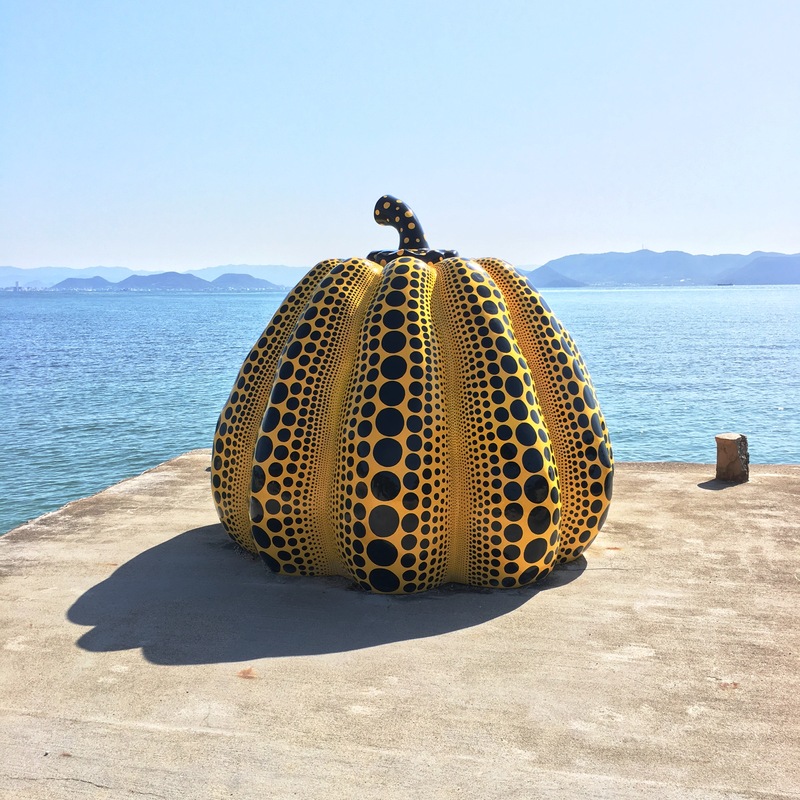 Yayoi Kusama’s “Pumpkin”, probably the most photographed art work in Naoshima (among those that can be photographed, of course). What attracted me most though was not the idea of a museum-island in itself, but rather the fact that there was a room showing Claude Monet’s “Water Lilies” in a specially designed natural light setting. 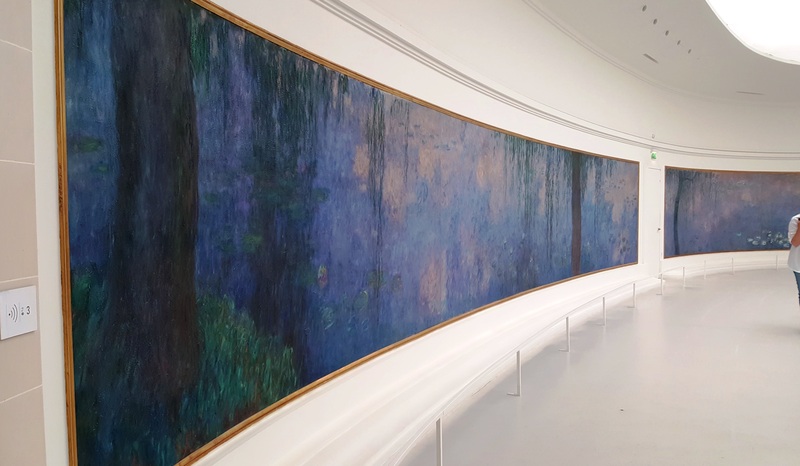 While living in Paris, I visited Giverny, Musée de l’Orangerie and several others displaying Monet works, and I got very curious to get to see how they look there, in an underground museum in an island somewhere in the middle of Japan. 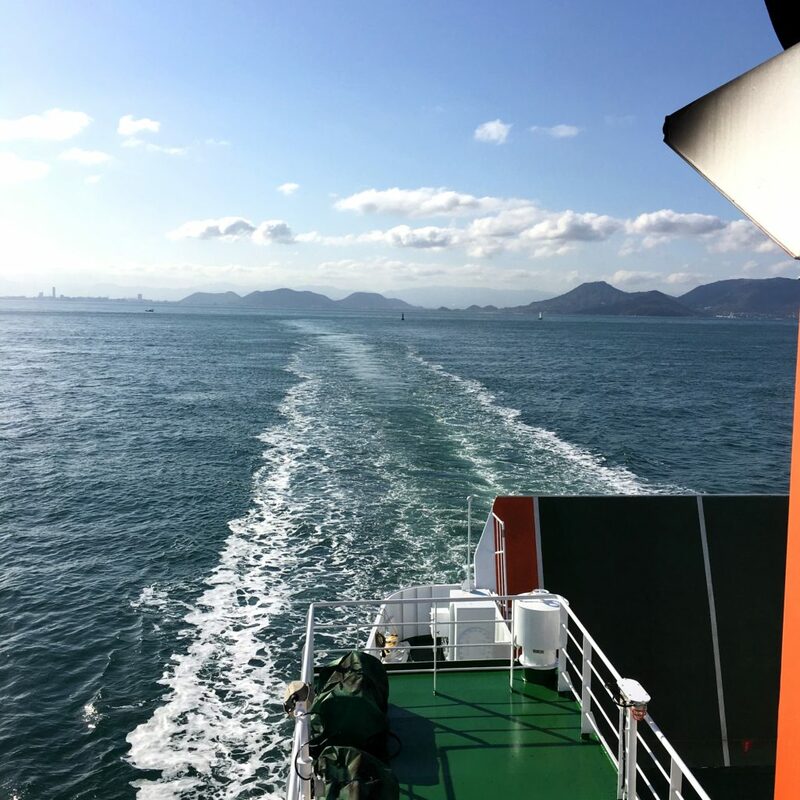 One way to get to Naoshima is to take a ferry from Takamatsu. It took me almost three years to actually get there, but here I was, on a ferry to Naoshima. To my shock and surprise, my phone, which I normally use to take photos and had fully charged an hour ago, mysteriously “died” right after ferry left Takamatsu port. While I had about an hour to come to terms with the fact, this happened to be probably the only occasion in my life so far when I was thrilled to also carry work phone in my bag. Keeping a promise to myself not to open the inbox during the three days, I could take photos, although less than usual given that terribly loud sound that all Japanese smart phones make with no option to turn it off. 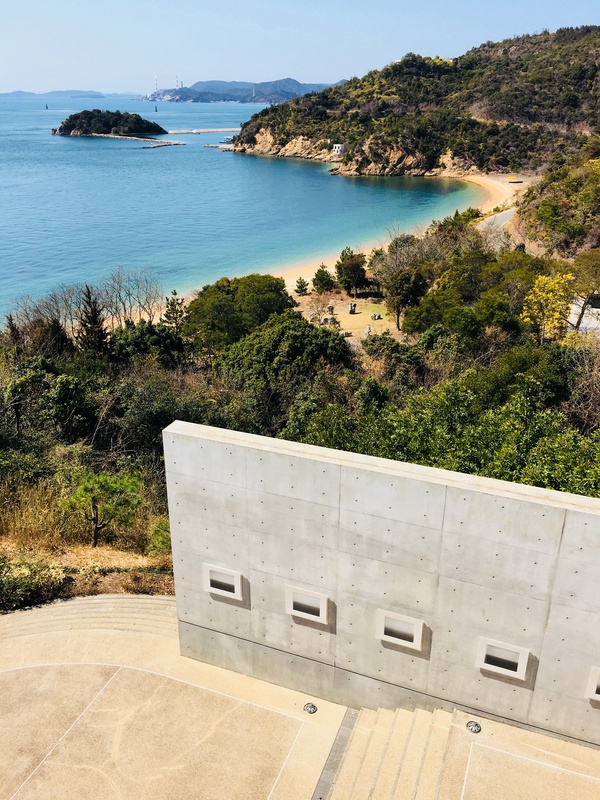 Views along the way, Naoshima. Looking back, I think it was a lucky coincidence. People nowadays tend to focus so much on taking photos and searching for a good shot or that special, Instagram-worthy view, that indeed, in a place like this, it would not be possible to disconnect and live in the moment. No photos beyond this wall, simple and plain entrance to Chichu Art Museum. While there are several museums around the island, Chichu Art Museum (the same one, hosting Monet) is the most impressive in my view. There are six art works in total, but all are so completely different and presented in such different ways that it is more than enough, especially if you consider that the building itself is like another piece of (contemporary) art. On the way from the ticket office to the entrance, I almost missed a small Monet’s Garden along the way, which should look beautiful in a warmer season. I headed straight to my target, but… had to stop for a moment, as you cannot just come and enter the room like that. You have to take off your shoes and put on slippers before you are even allowed to enter the room, which reminded me entering a Japanese temple. Even then, the first room is like an entry hall, giving you a few seconds to switch into a different mode. Plain concrete walls, marble stone floor and no windows or artificial lights creating a twilight mode. The next and the main room with five Monet works is all white, though light is limited to a narrow line going around the ceiling. Depending on the weather, the room will have different level of daylight and thus create a different impression of the paintings. Marble stone floors and slippered feet limit the sound of the many footsteps around you, so even a crowd can be silent. It is definitely an interesting experience, though I could not avoid comparing it with “Water Lilies” at the Musée de l’Orangerie in Paris, with its two large oval shaped rooms and a series of much bigger water lily paintings and much more daylight, giving a lighter and brighter impression than the underground room I was standing in. Interestingly enough, the painting at the Chichu Art Museum was also originally produced for the grand decoration at the Musée de L’Orangerie. 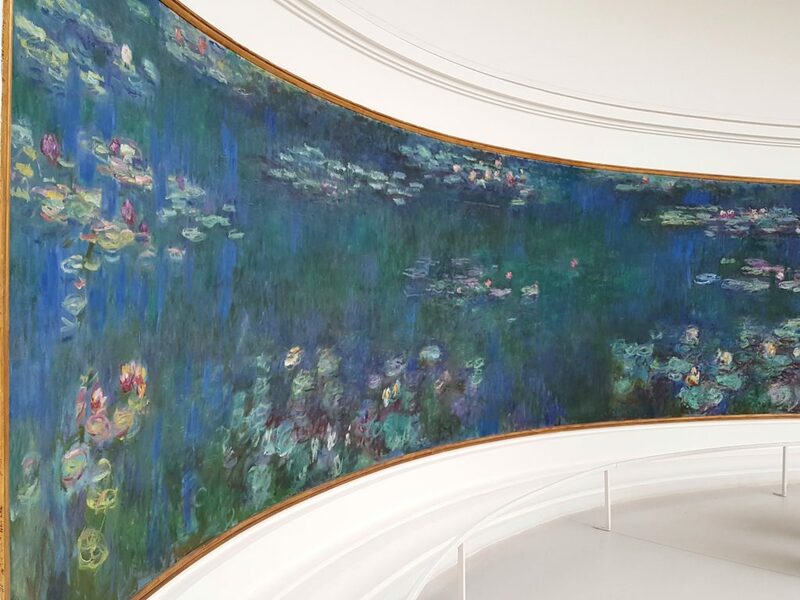 A fragment of Monet’s “Water Lilies” at Musée de L’Orangerie in Paris. 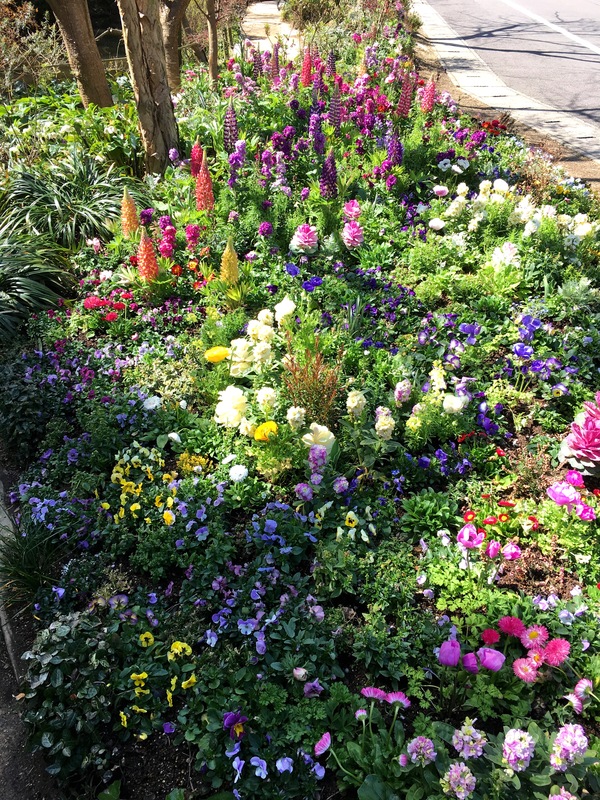 This is not to say that I did not like other works or other Naoshima museums. I did, though even more than that I enjoyed open spaces and nature around the island while walking between them. Island views from Benesse House. Below, a fraction of the art work “Time Exposed” by Hiroshi Sugimoto. I cannot show you any photos from museums (taking photos is not allowed), but you may refer to another TED idea here to get a glimpse. One of the open-air works: “Seen/Unseen Known/Unknown” by Walter De Maria. His other work “Time/Timeless/No Time” can be seen at Chichu Art Museum. I am still in that island mode when leaving from Takamatsu airport and almost miss how three airport ground staff members, nicely lined up in equally spaced intervals between them graciously bow towards our plane and synchronically wave us goodbye until the plane turns towards the runway. Only in Japan, and only in a small enough airport, but that’s enough to make me wish to come back again and explore a few more islands. Next time though, I will do separate searches for the stillness in Japanese wilderness and Monet’s water lilies (that’s right, there is yet another quite remote place in Japan to explore). 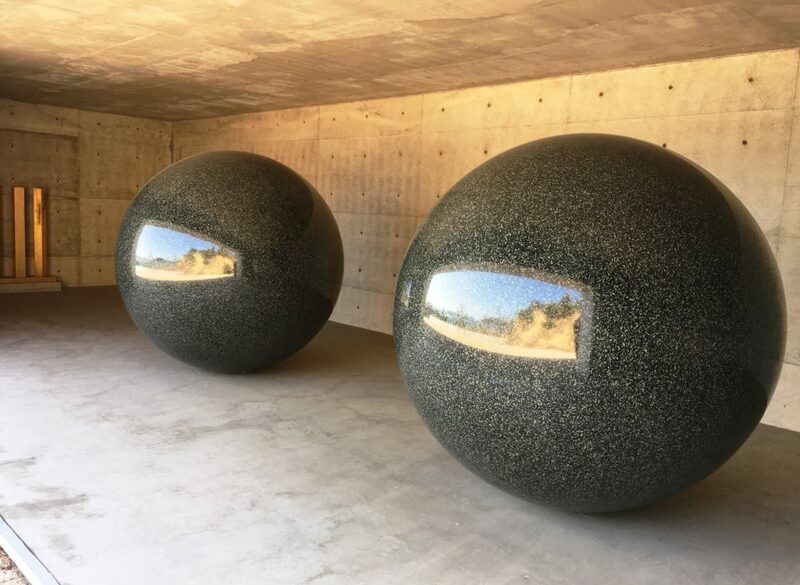 This entry was posted in Culture, France vs. Japan, The rest of Japan and tagged art island, Benesse House, Chichu Art Museum, Claude Monet, Musée de l'Orangerie, Naoshima, TED idea, the art of stillness, water lilies, Yayoi Kusama pumpkin by Madame. Bookmark the permalink.